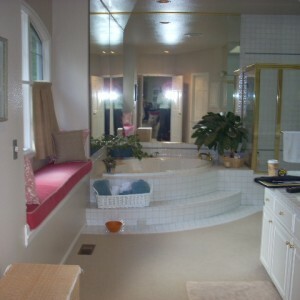 The oversized L-shaped bathroom included a curved Jacuzzi tub as the monument to the space. 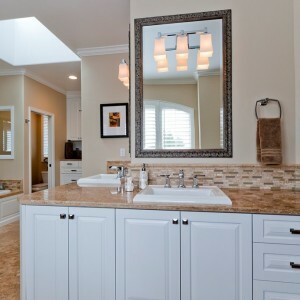 Mirrored walls offered the illusion of a larger room, which the homeowners struggled with the idea of discarding. 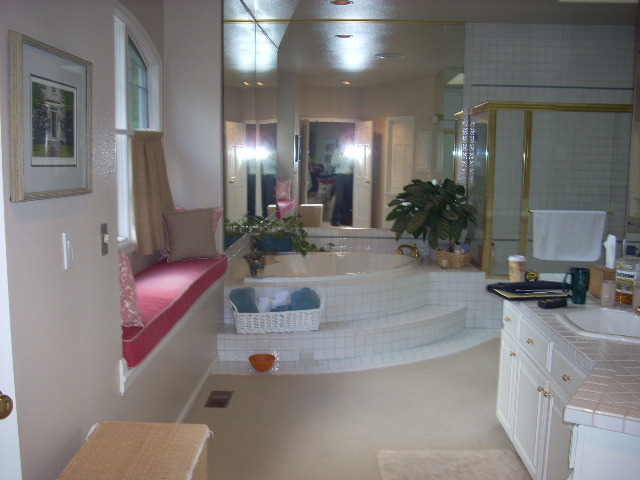 The location of the tub and shower were swapped to allow for an expansive shower, while still maintaining a seldom-used soaking tub between the new shower and existing toilet room. 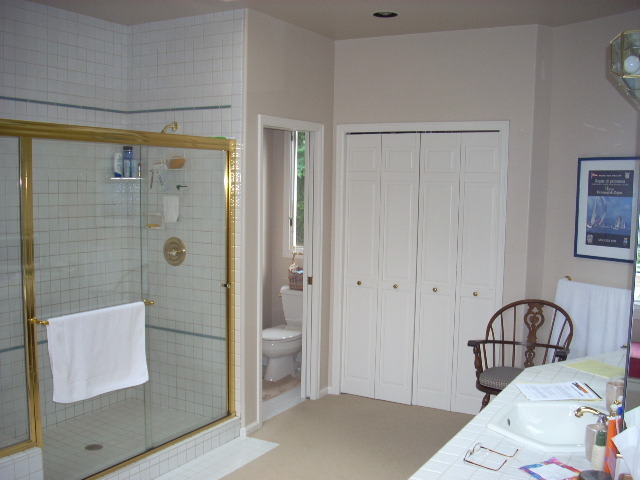 The original bi-fold closet was replaced with undergarment drawers and concealable towel and toiletry storage above. 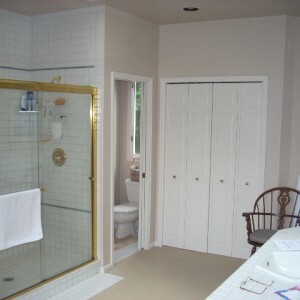 A walk-in closet was added to the awkward back corner of the bathroom opposite the toilet room to increase wardrobe storage and functionality. 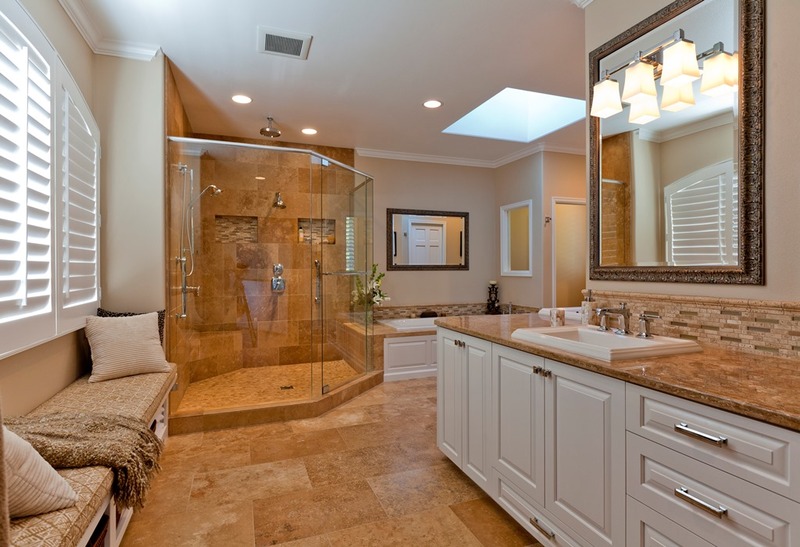 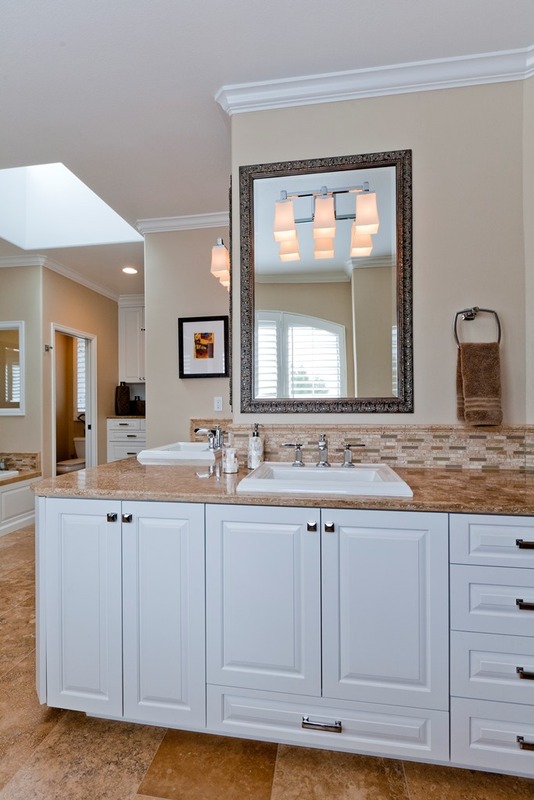 The mixed medium mosaics at the vanity and tub are capped by a tumbled travertine stone moulding to compliment the polished travertine slab counters.